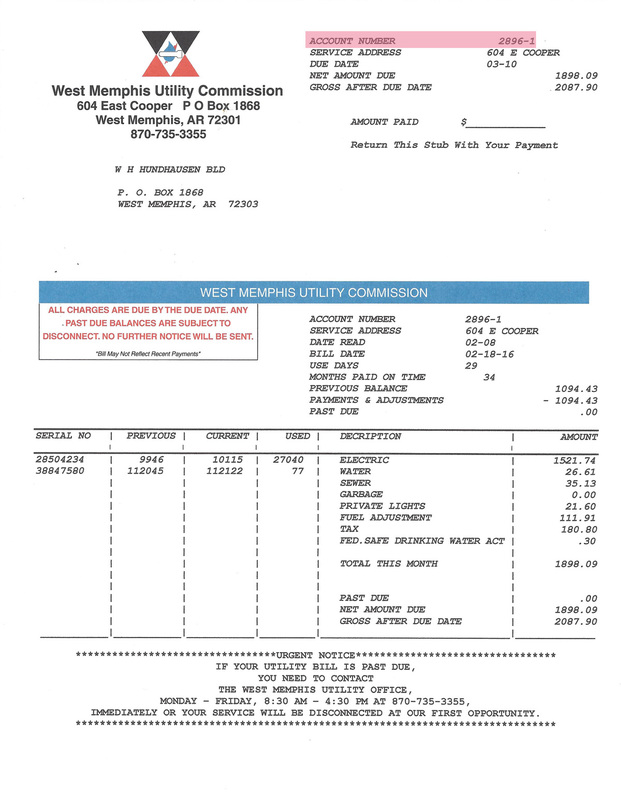 Please enter the EXACT customer information as shown on your bill mailed to you. 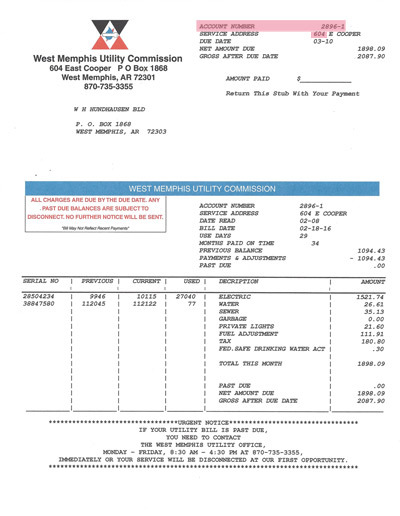 An example bill is below for reference only. Note: If your services are currently disconnected due to non-payment, do not use the online payment service. Please call the office at (870) 735-3355 or come to the office at 604 East Cooper, West Memphis, AR to provide payment. Note: If you have recently established an account, it can take up to 3 business days for your account to be recognized on the bill pay site.